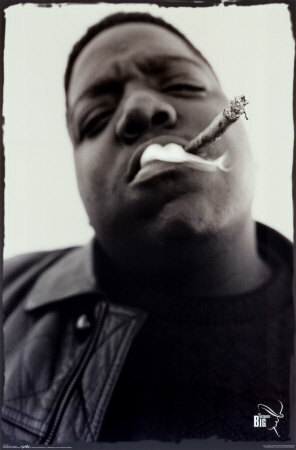 Say Somethin': EXCLUSIVE BOOK WITH PHOTOS OF BIGGIE's LAST LISTENING PARTY! 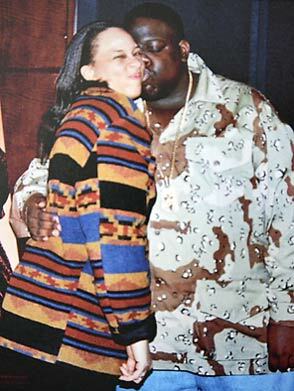 EXCLUSIVE BOOK WITH PHOTOS OF BIGGIE's LAST LISTENING PARTY! In my opinion and the opinion of many The Notorious B.I.G was and still is the greatest Rapper of all time and with the state of Hip Hop now with so much pop influences even in death i feel BIG has nothing to worry about there in regards to his title. 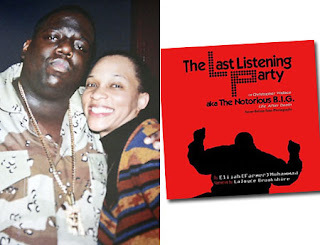 I was hit up by my family Moses Farmer (@TheLinBuyusPage) putting me on to an exclusive book which surrounds the last ever listening party BIG held which sadly was two weeks before his death on March 9th, 1997. The listening party was for the Diamond (10M) selling album 'Life After Death' and his publicist at the time LaJoyce Brookshire who worked for Arista Records called upon the expertise of entertainment photographer Elijah Farmer Muhammad (@TheLinBuyusPage's Uncle) to cover the event visually. Now both LaJoyce and Elijah have joined together to capture this rare moment with BIG by creating a book with the exclusive photos of BIG two weeks before his death with rare moments never seen or heard before until now .. Preview the book after the jump! This book makes an excellent read for any Biggie fan or any fan of Hip Hop period. To capture the essence of the Greatest Rappers of our time in his last days with stories from those who were there in attendance and with great visual, never seen before intimate photos of BIG, I recommend this book to anyone. This looks great! Finally a positive extra for Biggie's family and dearest fans.